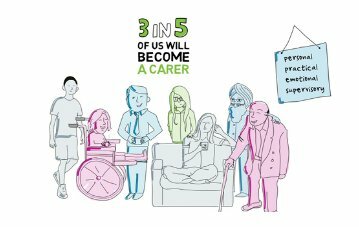 Caring can be rewarding, but it can also be very tough so it's important that carers are able to find reliable information and have access to services to support them in their caring role. Our short video talks about the challenges facing unpaid carers in Derbyshire and how we hope this website can help you find the information, advice and support services you need. Don't forget to follow us on Facebook so we can keep you up to date with news and events you may be interested in. A special thanks to Paul Lobley (carer and Derbyshire Carers Association Trustee), Samantha Woodward (DCHS School Nursing Team) and Mollie Woodward (Sam's daughter) for narrating the video.